Keds Teacup In Red Just $45 Plus FREE Shipping! You are here: Home / Great Deals / Keds Teacup In Red Just $45 Plus FREE Shipping! These are the cutest little shoes! 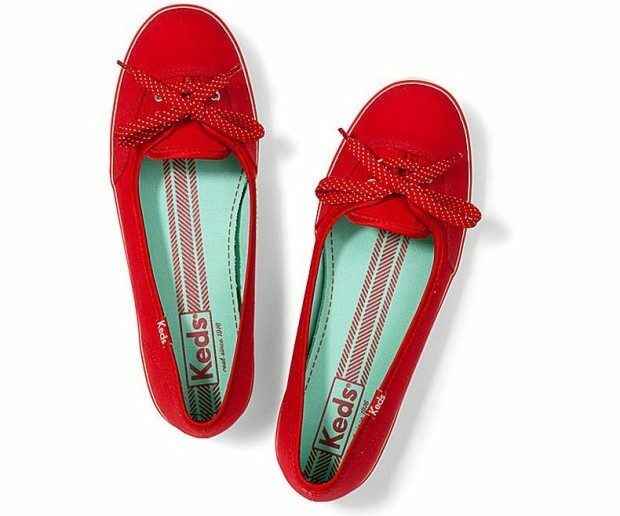 The Keds Teacup Shoe In Red is Just $45 Plus FREE Shipping and FREE Returns! These cute little flats go from casual to girly in a wink, have a canvas upper, and a slip on style with polka dot laces!